I am a Christian and believe that Jesus Christ is god's son. He came to the earth, to die a cruel death at the cross. As a result, everyone who believes in him gets eternal life. An offering that applies still today! By the way, Jesus haven't stayed in the grave, but he is risen. So he showed that his offering is no empty promise. 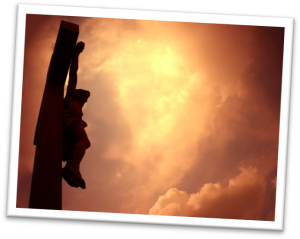 If you want to know more about Christianity have a look at the following articles. In my opinion there is nothing more important in life but Christianity. What if I am right? Use some time, to check if it's true! Perhaps you have questions. Send me your questions to SamuelPlentz@web.de.